It’s not hard to tell when your baby starts teething. He or she may be irritable during the day and sleepless at night. Here’s what to expect and how to keep your baby comfortable. Your child may have sore or tender gums when teeth begin to erupt. Gently rubbing their gums with a clean finger, a small cool spoon, or a moist gauze pad can be soothing. 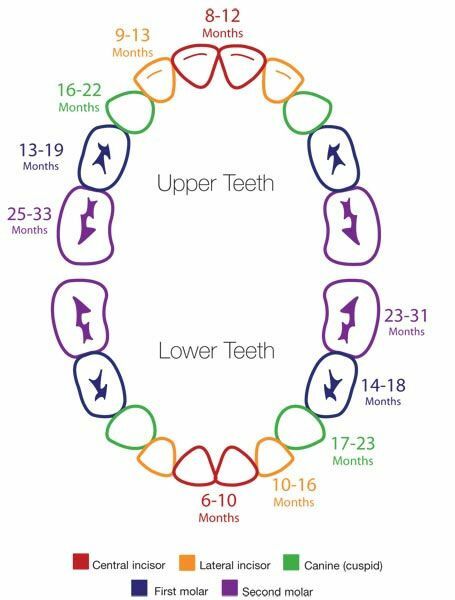 A clean teething ring for your child to chew on may also help. Your pediatrician may recommend a pacifier or teething ring. If you have any questions about how to relieve your child’s teething symptoms, talk to your pediatrician.